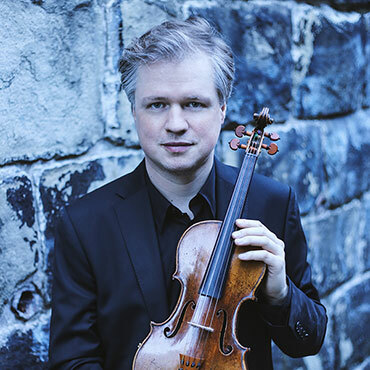 Henning is a prolific composer with more than 200 works to his name; among the ensembles that have commissioned or premiered his works are the Brodsky Quartet and Ostrobothnian Chamber Orchestra, while the Britten Sinfonia gave the first performance of Henning’s The Last Leaf for violin and chamber orchestra in 2014. In the same year, Henning’s reputation as a composer was sealed by the premiere of Equinox: 24 Postludes in All Keys for Violin and String Orchestra. This work was composed as a musical counterpart to a story specially written by world-famous author Jostein Gaarder, and has been hailed as “a fascinating composition to return to over and over again” (MusicWeb International).